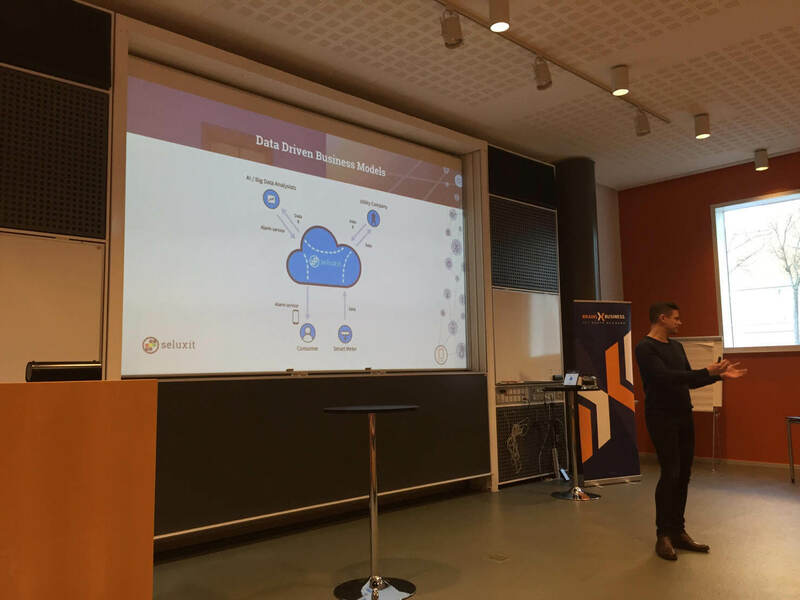 Seluxit CEO, Daniel Lux, gave a talk at the "Iot i Praksis" (IoT in practice) event held by the technology cluster, BrainsBusiness in Aalborg the 27th of November. The event addressed the growing number of companies that have IoT on their agendas in one for or another. Daniel explained how IoT opens up for data-driven business models through examples from Seluxit's own activities for our clients. Consider an example of a utility company and their customers. The utility company finds the fine-grained smartmeter data in the possession of the consumers attractive. But the data is in the consumers possession. The consumers are unlikely to find small payments interesting. However, new services based on their data could be attractive, for example an alarm or perhaps elderly monitoring. In the illustration here, we can see the value created by exchanging data and money. The utility gets their data, the consumers get an alarm application, and the utilities AI vendor gets payment.